• Artist must be a current and paid member of the PSA. • Size limit for all pieces is 48”, on longest side, including the outside of the frame. Larger sizes will be rejected. • On-line registration is manatory. 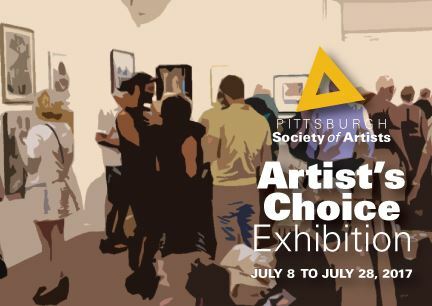 The artist MUST register on-line prior to the date of drop off at: www.pittsburghsocietyofartists.org. Unregistered work will not be accepted at drop-off. NO EXCEPTIONS! • Artist may enter one piece. • Work must be original, not executed under instruction and available for exhibition if selected (no substitution). Work must have been produced within the last two years and may not have been exhibited within 150 miles of Pittsburgh. All work must be for sale. Works marked NFS will not be considered. • 2D pieces must be exhibit ready, professionally presented and ready to hang. • 3D works must be exhibit ready, and come with clear presentation instructions. 3D work must be within 48” on the longest side requirement. • Work must be hand delivered to the Panza Gallery on July 7, Friday, 10 am to 5 pm. Please refer to the calendar on side column. Unregistered work will not be accepted at drop-off. THERE WILL BE NO EXCEPTIONS! • All work must have a tag (with your name, phone number, email address, title, medium and price) attached to the back of your work upon delivery. • Artist MUST pick up unsold work at scheduled time. Members only - $15.00. You will pay your non-refundable entry fee during registration online.